Are you a rising star in media? 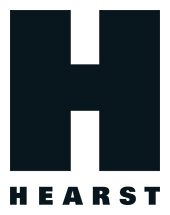 Campaign is searching for the next generation of media talent in our annual MediaWeek Thirty Under 30 talent search in partnership with Hearst. Did you do amazing things this year? Are you one of our rising stars? The good news is that it’s open to anyone working in commercial media in the UK who's under 30 on 31st May 2019. If your birthday is on the 31st May, sorry, you’re too old – put your slippers on and make yourself a cup of cocoa. The deadline for entries is 10th May 2019. In the past, our winners have had career boosts, new jobs and fast-tracked promotions and some of them are now the biggest names in UK media. Can you afford not to try? Fear missing out? Enter here. A short, three-minute video that explains why you deserve selection. And we mean three minutes. All judges stop watching at three minutes. Previous winners of MediaWeek ThirtyUnder30 are not eligible to enter. Please enter in the form below – first you have to register then enter.